ILX Connect has given us the opportunity to offer a consistent level of support to our distance learning delegates who are working through the PRINCE2 or MSP Programme. We started using the ILX distance learning approach to these programmes in August 2010 and the support we have had in the set up and on going development of the programme internally has been invaluable, particularly with the orientation sessions we run for new delegates. 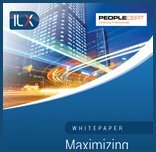 "ILX's e-learning site is really easy to use, with some great functionality e.g. exam simulator, revision note pad etc. I contacted one of the tutors for some advice on revision techniques - he responded really quickly with some good common sense advice"
ILX Connect provides an excellent service and reassurance that they are available to support our existing and new delegates to the programmes on an ongoing basis, is great and demonstrates that they want positive results just as much as we do.